The Ford Mustang GT is one of the top sports cars in the nation. The latest redesign has a new grill and sharp head lamps, but it's the personalization that is key to the latest refresh. There are three engines to choose from, as well as two transmission styles and five performance settings. You can choose drag strip mode for additional performance and high-speed settings. Ford covers over 1,000 components with its 12-month, 12,000-mile limited coverage warranty on its preowned cars and trucks. There is also a powertrain warranty for seven years or 100,000 miles. Ford offers the powertrain warranty on all certified preowned vehicles. Ford also conducts a 172-point inspection on all its preowned cars before sending them to the dealers for sale. A well performing vehicle can make your life a little more fun. 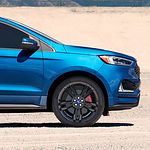 If you are interested in the Ford Edge but looking for a vehicle that is a little more focused on the performance side of things, consider the Ford Edge ST.
Want to start your vehicle with the push of a button? Are you tired of turning a key in the ignition to get your vehicle going each day? The Ford Edge ST provides you with a push button start option that will get you excited about driving. 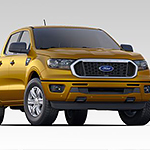 When you’re up for off-road fun or commuting in the Matteson, the Ford Ranger is the model that’s built for you. Urban dwellers take advantage of built-in Android Auto™ and Apple CarPlay™ to stay connected with their smartphones for hands-free phone calls. Trail lovers can go for the FX4 Off-Road Package that boosts the truck’s abilities using all-terrain tires with deep treads, tuned off-road shocks, and a heavy-duty front skid plate. The Ford EcoSport is a vehicle that has a sleek design. You will be able to admire both the interior and exterior of this vehicle when you drive it. The Ford EcoSport has LED signature lighting and halogen projector headlamps that are very useful. These lights give this vehicle a distinct look that will allow other drivers to see you from a distance. While these lights help keep you safe, they also make a loud statement by letting people know you have arrived and are unstoppable in your Ford EcoSport. The interior of the Ford EcoSport is very luxurious. Vehicles have become more than something that you drive. 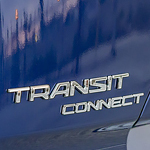 The 2019 Ford Transit at Sutton Ford Lincoln is an example of a vehicle that enables you to do a lot more than just drive it. There are tons of features in the vehicle that will help you stay on top of everything. One of the features is the Wi-Fi hot spot which has the ability to connect up to 10 devices for 4G LTE internet speeds. Therefore, you will be able to enjoy high speed access to plenty of different apps and content while you are on your journey. If you need a truck that can handle anything you throw at it, take a look at the new Ford Super Duty. 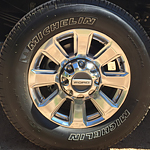 This popular heavy-duty pickup truck is boasting a tough and durable build. 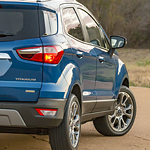 All models at Sutton Ford Lincoln are made of high-strength metals that add protection and rigidity. Advances in automotive technology enhance driving pleasure, make traveling safer and up the entertainment factor. 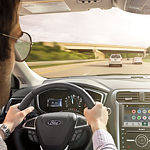 The introduction of Ford's Co-Pilot360 makes owning one of their vehicle like having another set of eyes in the cockpit. See the vehicles in our inventory in Matteson that come equipped with the new technology. 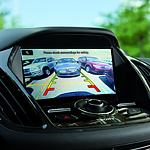 The Ford Co-Pilot360 technology comes standard on the latest models of cars, SUVs and trucks. The system is described as a suite of functions that enhance the vehicle's capabilities. “Intelligence to the Max.” That would be a good motto when it comes to the Ford C-Max sport utility vehicle. Although this might be a newer offering from Ford, it has already found a very loyal fan base. Part of the reason is because it is cutting-edge, with many features. 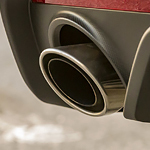 Here is just a small taste of what the C-Max has to offer. All models come with a convenient push button start feature, meaning that as long as your key is in your general possession you can start the car with just a simple push. One of the factors that we at Sutton Ford Lincoln think about the most when we choose a vehicle is reliability. We want our vehicles to be reliable in performance as well as other areas. 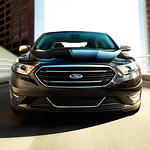 The Ford Taurus has proven to us to be that type of vehicle. We have a healthy amount of these vehicles in our inventory because of the features it has brought us for performance.